UPDATE: The fire has been 90% contained as of 7 p.m. on Thursday. 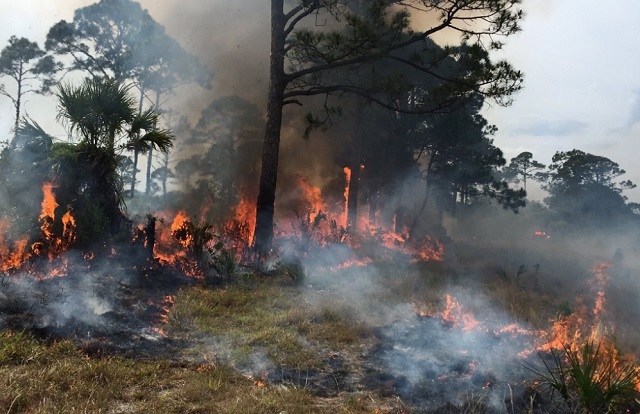 MERRITT ISLAND, Florida - A brush fire on the northern end of the Merritt Island National Wildlife Refuge has grown to 528 acres on Tuesday, according to the Southeast Region of the U.S. Fish and Wildlife Service Fire Management Division. Initially, the fire covered only a 1/2 acre around 3 p.m. just north of the Haulover Canal on Sunday, but had grown to over 50 acres by Sunday evening. Wildlife Service personnel are in the process of implementing a strategic firing operation to contain the blaze. State Road 3 has been closed at the Haulover Canal.